Have you filed your taxes yet? File Using H&R Block, TaxAct, or TurboTax for FREE! You can now officially file your taxes. File now and you should get your return REALLY fast! If you are ready, there are three free programs to file your taxes. 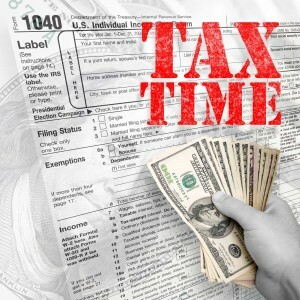 H&R Block, TaxAct, and TurboTax offer free basic tax-preparation and e-filing. Of course there may be fees if you have a more complex tax return but they tell you upfront if so. I have used all of these in the past and have liked them. They walk you through everything and make it very easy, so take your pick and get started. The sooner you file, the sooner you get your refund! Click here to get started with H&R Block! Click here to get started with Turbo Tax! Click here to get started with TaxAct!